The Lamp Illuminating the Profound Path arrives! 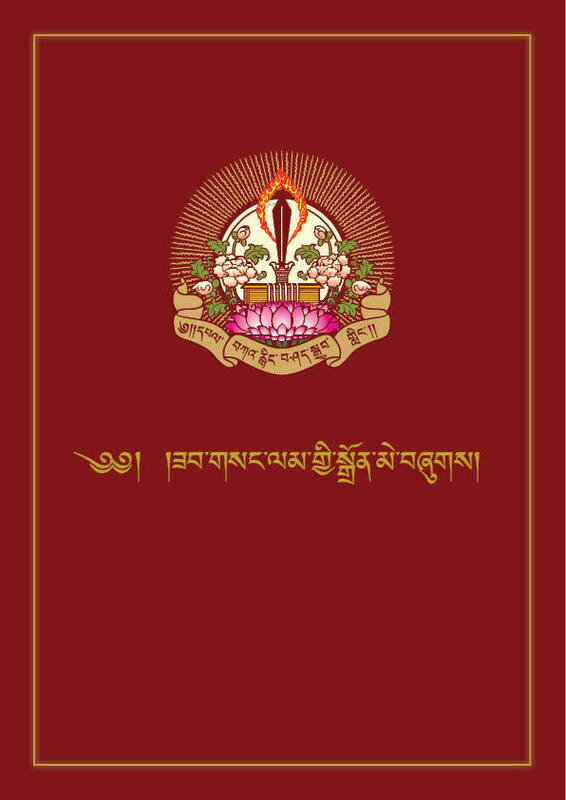 The Lamp Illuminating the Profound Path, a collection of instruction manuals in Tibetan compiled for the study and practice of our monks and nuns, is now ready! Yesterday morning, the printer delivered all 1000 copies of this precious book to the monastery. The books will be distributed to the monks and nuns on an auspicious day in the very near future. Thank you to the kind sponsors who made this possible. The book contains more than ten detailed commentaries from the Chokling Tersar, as well as crucial meditation instructions by Patrul Rinpoche and the late Kyabjé Dilgo Khyentse Rinpoche. The book is more than 350 pages long, A4 in size, and also includes images of many meditation deities, the refuge tree and so on. We began producing this book two years ago (beginning with inputting the Tibetan text, then four rounds of proofreading and corrections by the Ka-nying Shedrub Ling Khenpos, and finally the layout and design). Copies which will be offered to our monks, nuns, and other Tibetan-reading students of the lineage for the furthering of their study and practice. The cost of printing these books was generously covered by three of our saṅgha members.